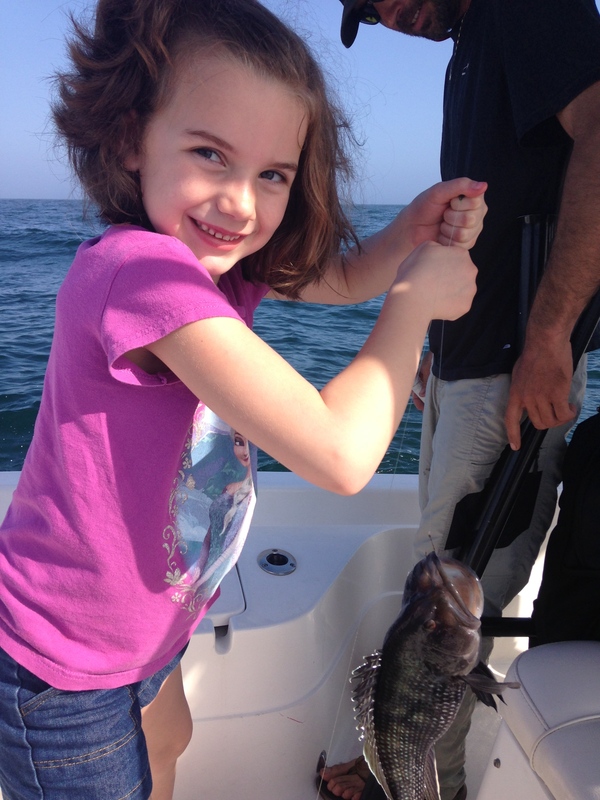 5 yr old Missouri Angler convinces her family to bring her to the AL Gulf Coast to go fishing! 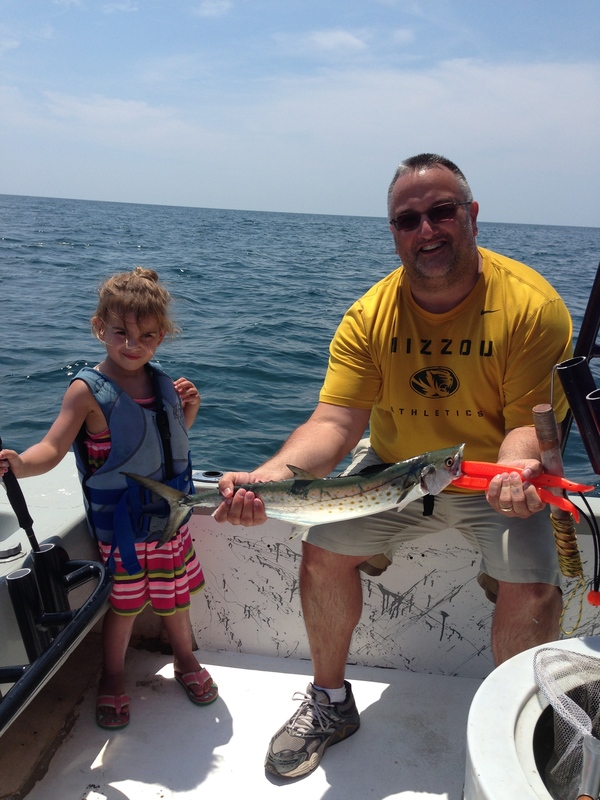 When a Missouri father called AAA Charters this week, his intentions were clear. 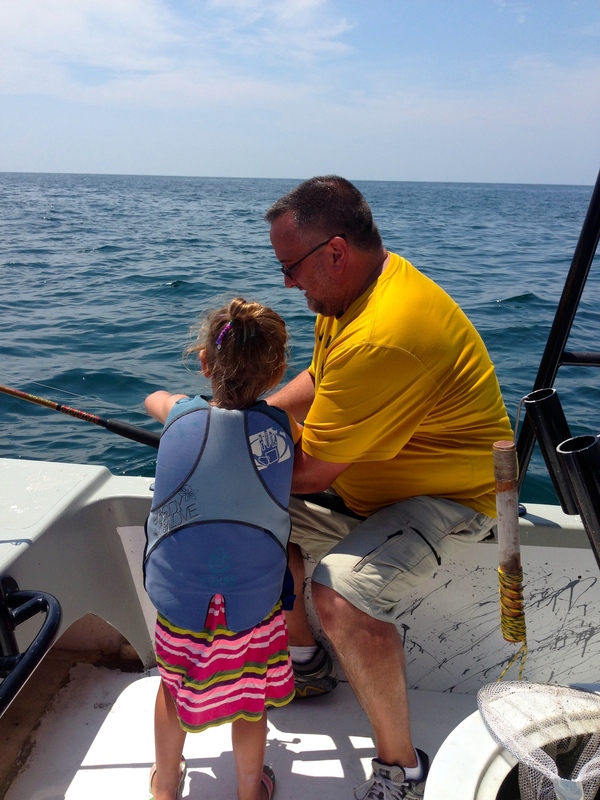 He explained that his family traveled to the Alabama Gulf Coast specifically on the request of his 5 year old daughter that wanted to go fishing. 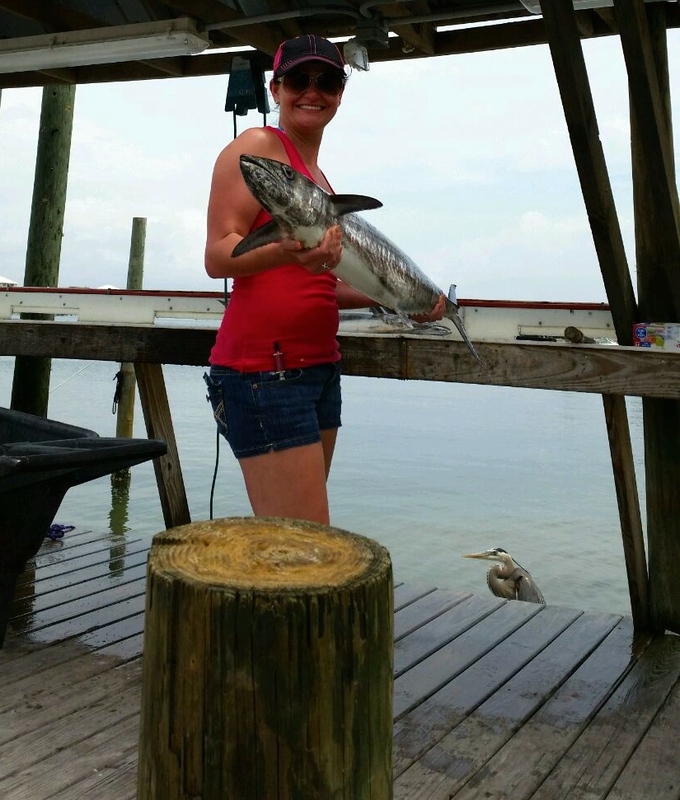 Her wish was our command, and we arranged a 4 Hr Inshore fishing charter with Captain Chris Calloway so this young girl could get her fish on! 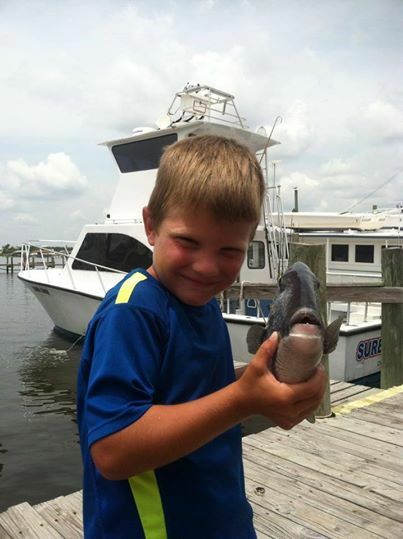 Gulf Shores Inshore Fishing Charter focused on this 5 yr old angler that LOVES to fish! The last several weeks have been ideal conditions for targeting a wide variety of fish along the gulf coast, both inshore and offshore. 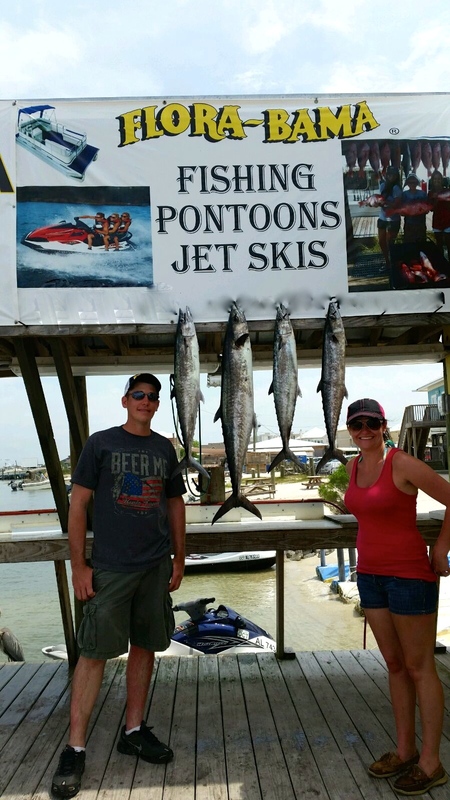 Calm gulf waters have allowed our fleet of inshore fishing guides to troll along Alabama beaches for anglers to hook up with spanish and king mackerel. 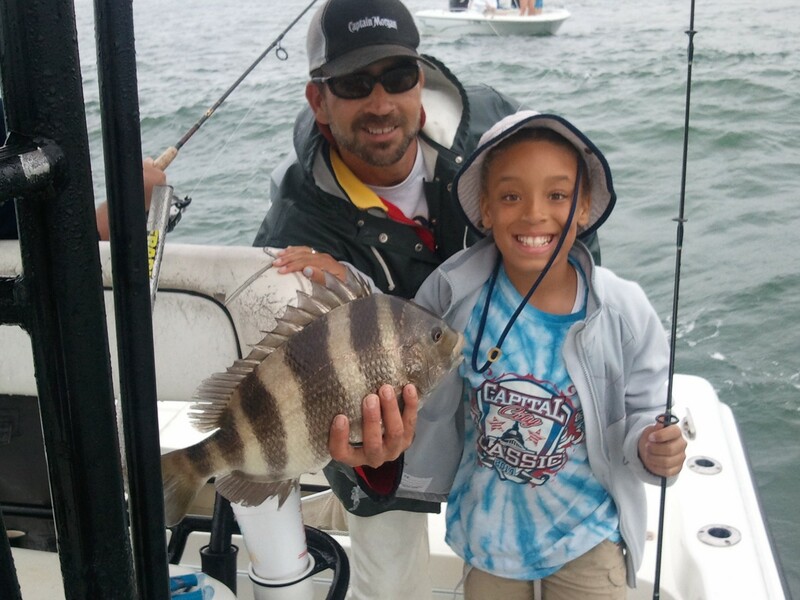 These private inshore fishing trips are great for families with small children because our captains focus on spending time with the kids, showing them how to fish with light tackle and live bait for a variety of fish swimming below. 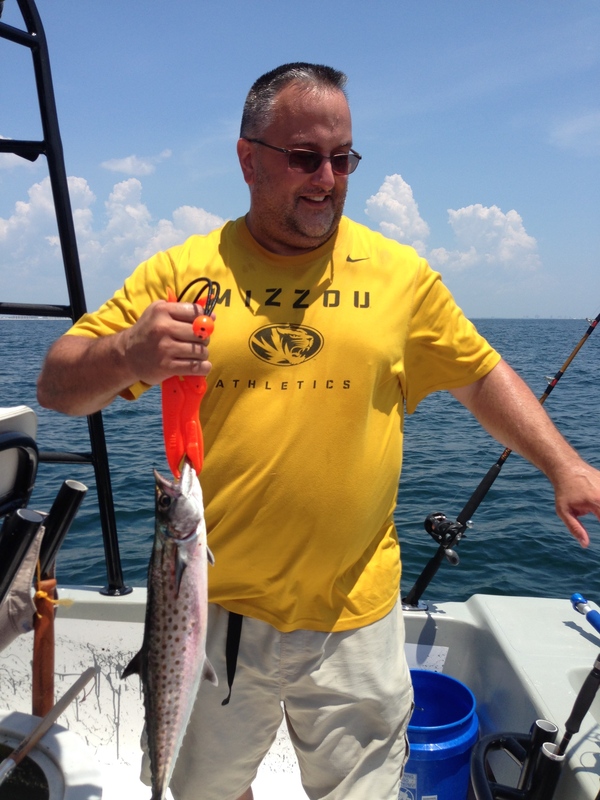 While the MO family was inshore fishing, another MO father decided to take his son, Kyle, deep sea fishing on a semi-private fishing trip on a six passenger fishing vessel, Sure Shot, for a combination of trolling and bottom fishing. 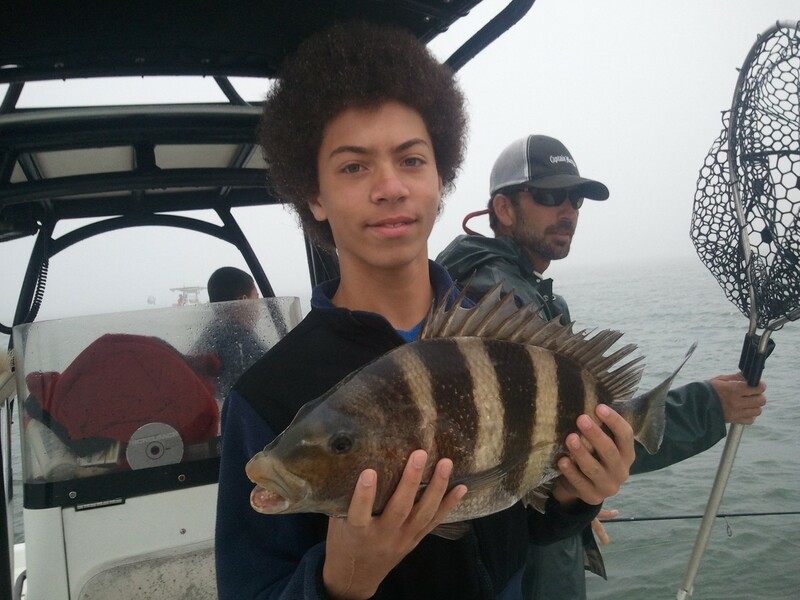 He had a blast showing off his triggerfish when he got back to the dock. 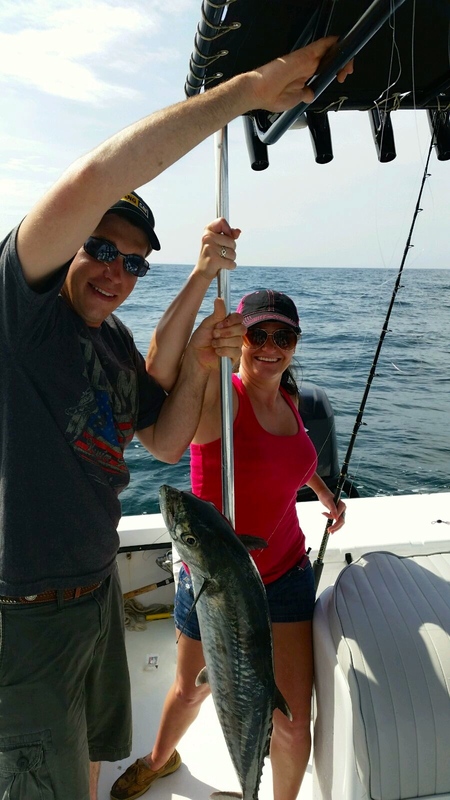 AAA Charters specializes in putting fishing trips together for families traveling to the AL Gulf Coast and can find an ideal trip for your vacation to our coastal paradise. Come find your child’s “Look What I Caught Grin”. 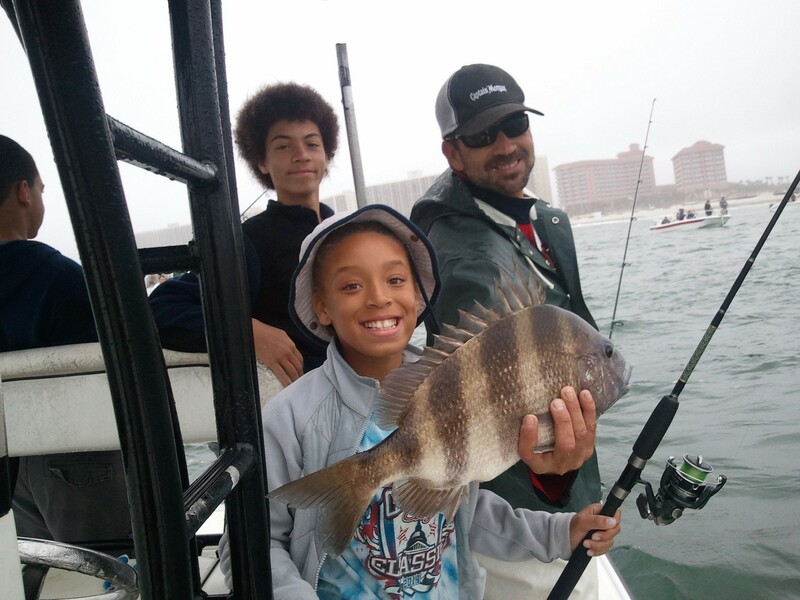 This entry was posted in Fishing, News and tagged affordable deep sea fishing, alabama fishing tours, alabama gulf coast fishing, back bay fishing alabama gulf coast, family fishing trips orange beach al, fishing charters orange beach al, gulf shores al family fishing trips, gulf shores deep sea fishing tours, gulf shores inshore fishing guides, gulf shores near shore trolling trips, gulf shores semi private fishing charters, walk on fishing charters orange beach al on August 15, 2014 by AAACharters Team.